Formerly Miami Edison High School, the Miami Edison Middle School complex consists of three historic buildings, which includes the main classrooms, a gymnasium and auditorium. 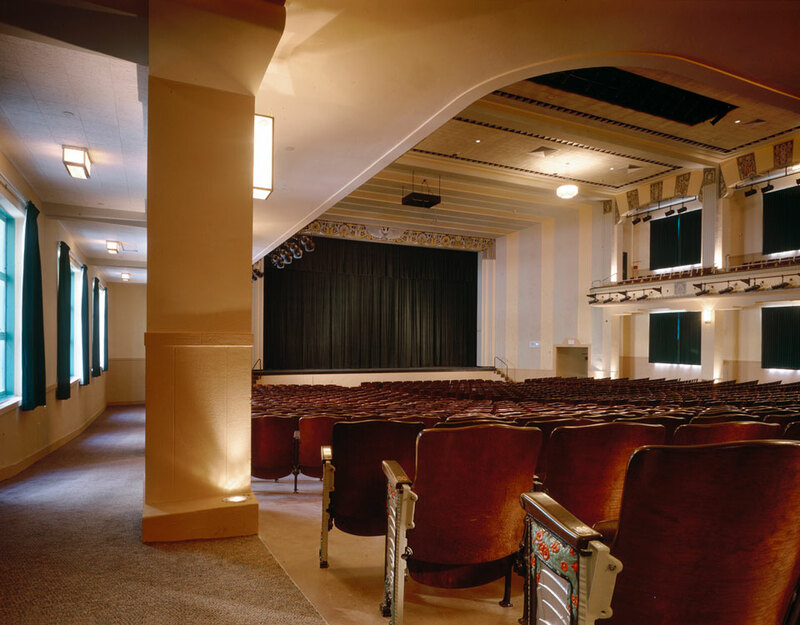 The most architecturally distinguished building is the 1931 Art Deco style auditorium, designed by Pfeiffer and Robertson. 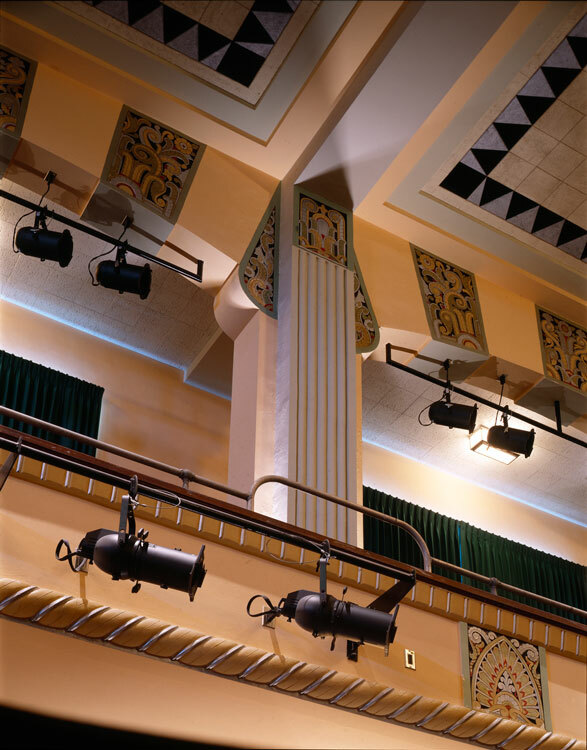 The ornate interior features of the auditorium include an elaborate proscenium and balcony with multi-colored frieze of rosettes, ionic scrolls and Corinthian-like designs set in low relief, large decorative arches supported by stylized fluted columns, the original octagonal lighting fixtures and original decorative seating displaying a chevron motif. R.J. Heisenbottle Architects completed the historical restoration, renovation, remodeling and new additions to Miami Edison Middle School. The original historic building facade, plus the historic auditorium and gymnasium were preserved. Three new buildings compatible with the original historic fabric were added to the site to transform it into a modern educational complex. 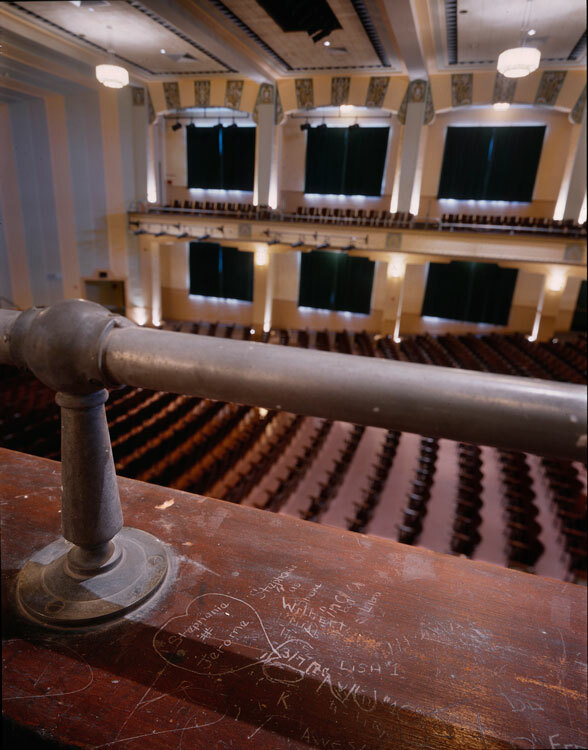 Beyond extensive historic paint and plaster repair of the 1,450 seat auditorium, lies a state-of-the-art facility with completely new theatrical systems including modern rigging, lighting and sound. 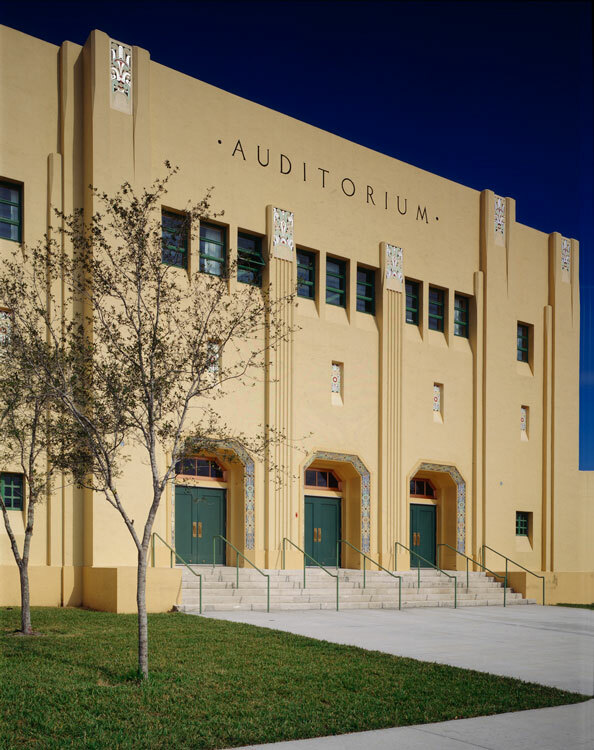 Miami Edison Middle was added to the National register of Historic Places on June 5, 1986.